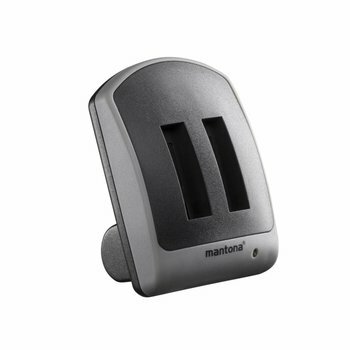 Deze mantona handschoen incl. 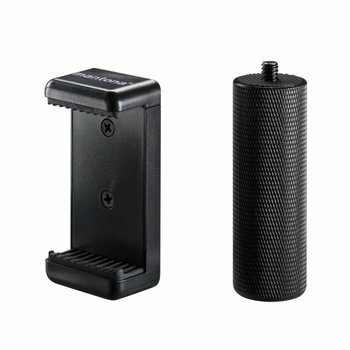 GoPro quick-lock mount is gemaakt van een zeer aangenaam, zacht gevoerd maar zwaar synthetisch vezelmateriaal. Met deze gevoerde handschoen kunt u uw actiecamera binnen enkele seconden vastleggen. Ideaal voor sporten zoals fietsen, wandelen, parachutespringen, paragliden, klimmen, surfen, skateboarden etc. 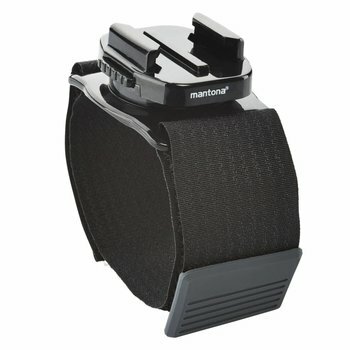 This mantona glove incl. 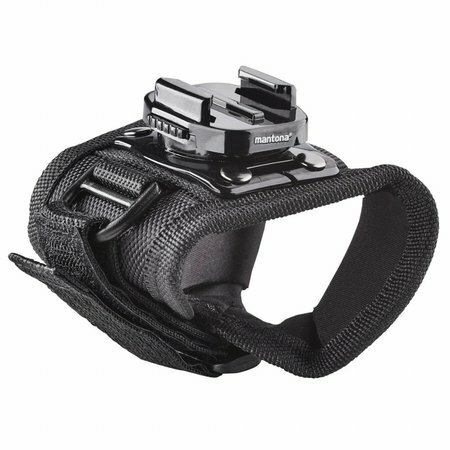 GoPro quick-lock mount is made from a very pleasant, soft-padded but heavy-duty synthetic fibre material with two hook and loop fasteners. 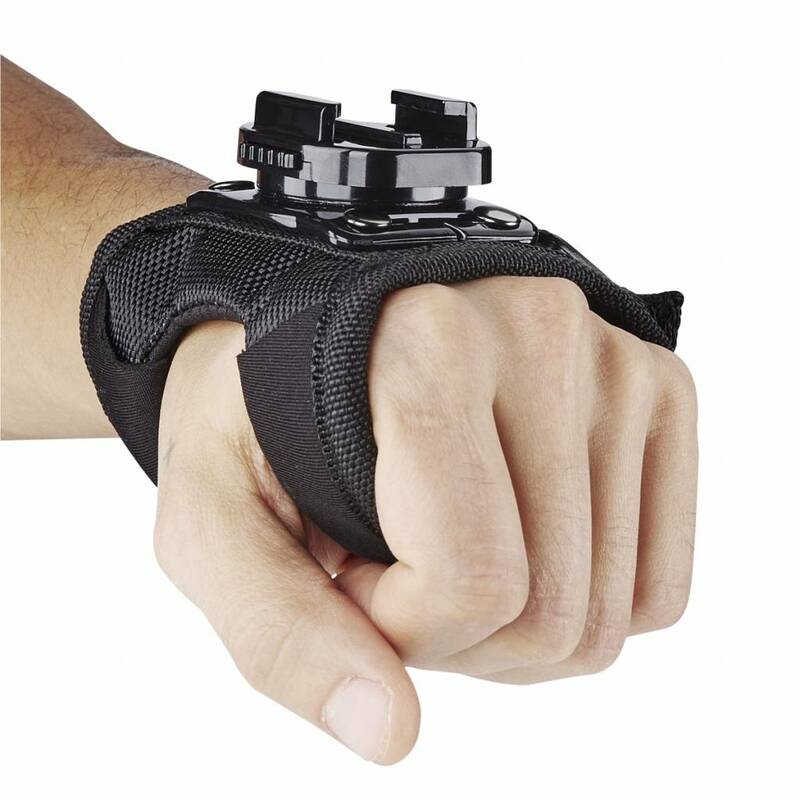 It can be used on the wrist, and is perfectly suited to both right and left handed people. 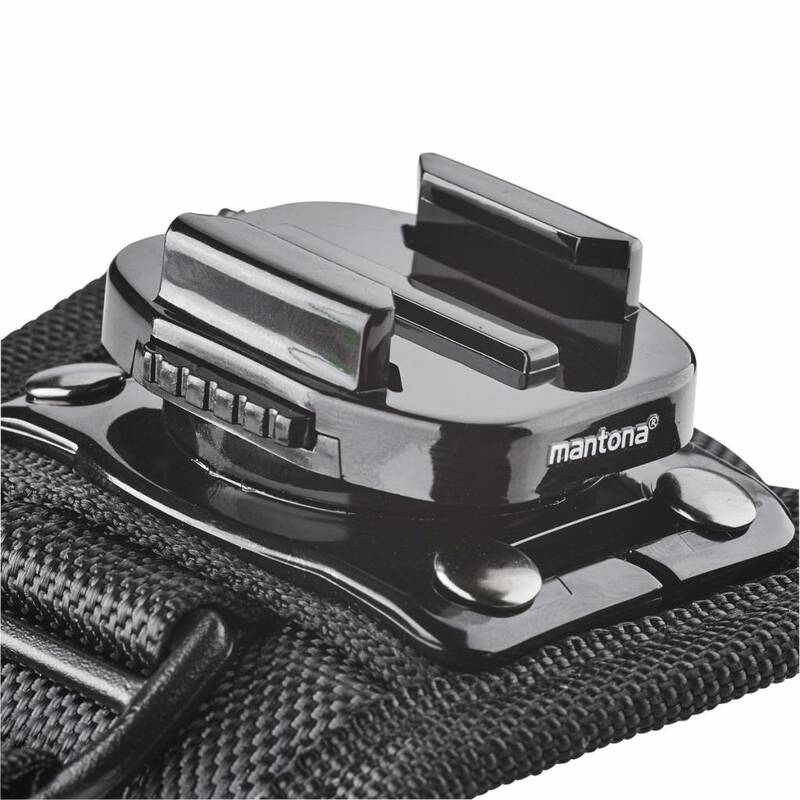 With the 2 integrated hook and loop fasteners, the strap can be adjusted in a trice and then sits very securely. The mount in the form of a glove is even more comfortable and non-slip than the traditional arm strap, and thanks to optimum control of the action cam and the high level of comfort, even when worn for a long time, is it particularly popular. 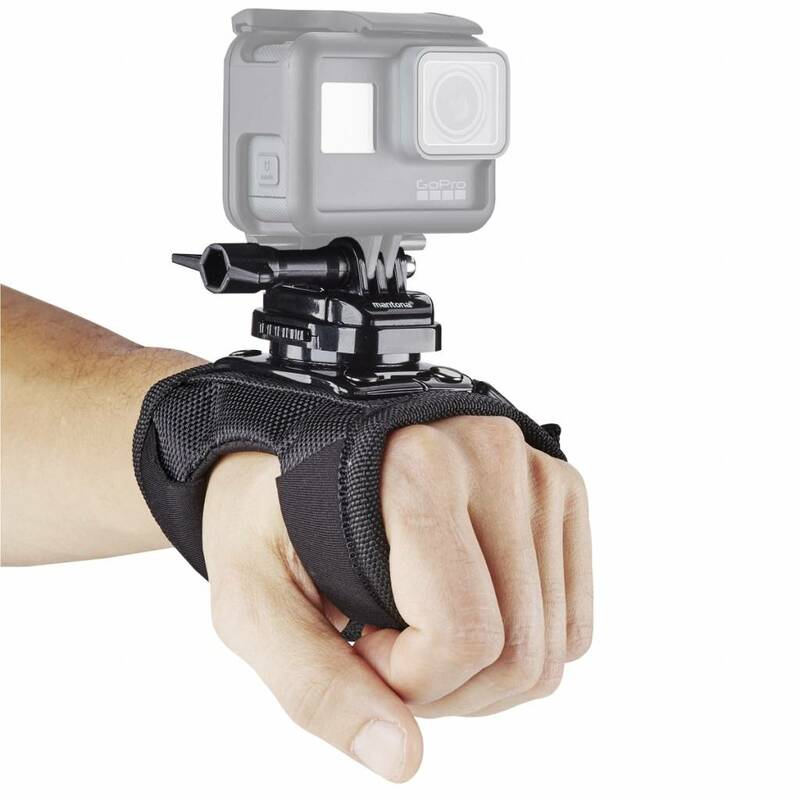 This padded glove allows you to secure your action cam in just a few seconds. It doesnâ€™t matter whether you want to record something while simply cycling or walking, or whether youâ€™re doing a more challenging sport such as parachuting, paragliding, skating or snowboarding. 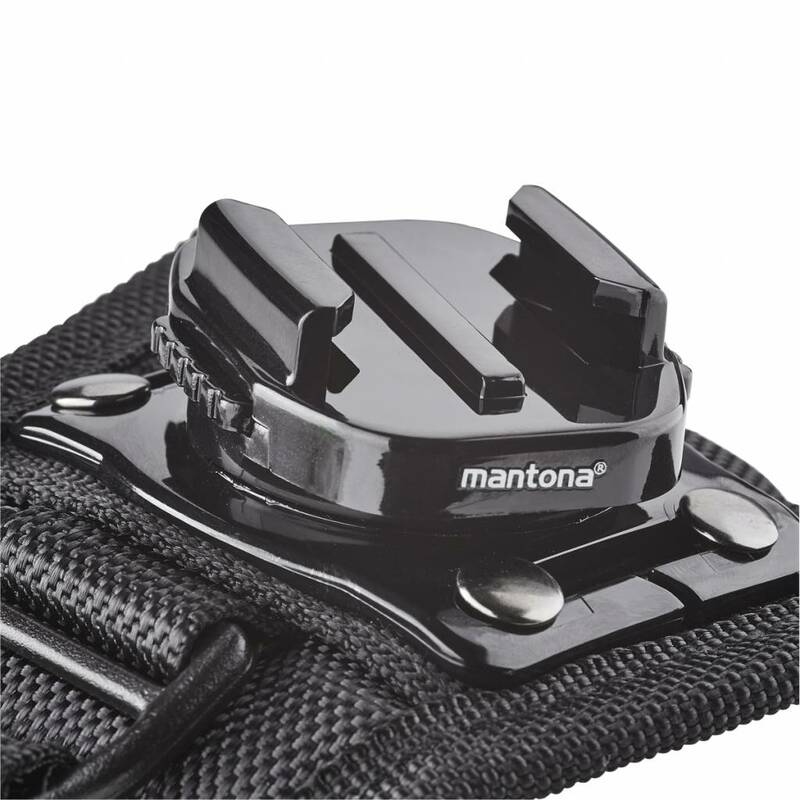 In just seconds, your GoPro via the frame or housing (obtained as an optional accessory) can be clicked into the mount with the quick-lock mount and secured in place. The 360Â° function of the quick-lock slot means your action cam be rotated in 20Â° steps (16 times for a full rotation). You can, therefore, take shots from whatever perspective you want in just a few seconds. The quick-lock mechanism is very sturdy and has been precision-made so you can take extremely high-quality shake-free images and videos. We also recommend securing your equipment, in addition, with suitable security cables made from synthetic fibre or stainless steel! Mantona action cam products in the accessories range offer security and fit your action cam perfectly. Our products are compatible with different systems and are reliable, which we ensure by carrying out regular checks and adhering to our high quality standards. Our responsibility - your benefit!